Fisher Investments was founded in 1979 by billionaire Ken Fisher. The fee-only investment adviser managed more than $100 billion in assets as of July 1, including over $38 billion for more than 175 large institutions and more than $60 billion for over 50,000 private investors. 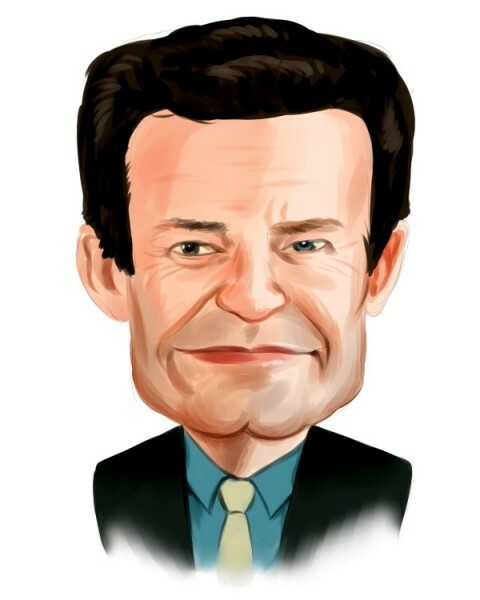 A bestselling author of several books and a former longtime Forbes financial columnist, Ken Fisher currently serves in the roles of Executive Chairman and Co-Chief Investment Officer at the firm he founded. Fisher Investments has already filed its 13F for the September quarter, giving us insight into the billionaire’s latest moves. Fisher Investments’ 13F portfolio was valued at $82.37 billion on September 30, with Billionaire Ken Fisher’s Top Stock Picks Heading Into 2019 including numerous billion-dollar positions. Ken Fisher is clearly a big fan of good dividend stocks. Out of his top 100 or so stock picks, a high percentage of them carry dividend yields of at least 2.8%, including the 25 stocks on this list, which all rank among Fisher Investments’ top 105 holdings. Out of more than 800 holdings in Fisher Investments’ 13F portfolio, nearly 30% of the stocks were from the finance sector, which has one of the highest rates of companies paying dividends at 88.9% (among S&P 1500 companies). The investment adviser opened 79 new positions during the third quarter, adding several new dividend stocks to its portfolio like Xcel Energy Inc. (NASDAQ:XEL) and Kinder Morgan, Inc. (NYSE:KMI). Fisher Investments believes that having an information edge, or an edge in how one interprets that information, is the key to being successful on the market, and results indicate that its strategy is working. We looked at Fisher Asset Management’s estimated returns a year ago and they showed that investors would have beaten the S&P 500 Index by 3 percentage points per year on average if they had invested in the same stocks (with at least a $1 billion market cap) as Fisher Investments. We track the top consensus picks of only the best performing hedge funds each quarter and share them exclusively with our newsletter subscribers. Insider Monkey’s flagship “Best Performing Hedge Funds Strategy” has DESTROYED the market since its May 2014 inception, returning an incredible 96.9%, including 17.4% returns in 2018 (through November 2). The S&P 500? 3.2%. You do the math. Insider Monkey’s “Best Performing Hedge Funds Strategy” has beaten the market by over 8 percentage points annually on average since its 2014 debut. How many more years will you wait to start beating the market? Check out a detailed analysis of Insider Monkey’s impressive performance and past quarterly stock picks for all the details. Our newest picks will be released later this month; don’t miss out! On the following pages are 25 of Ken Fisher’s favorite dividend stocks, all of which have a current yield of at least 2.8%. The stocks are sorted by their current dividend yield, lowest to highest. From the next page, you can click ‘See All’ to have the article converted into a single-page format.